Aficionados of sports cars, luxury cars and classic cars all have their ideas of what makes a car beautiful, desirable and hot. Sleek contours, a muscular build, and unique design elements all play a part. This list involves some subjective decisions, but here’s our take on the ten hottest cars of all time. The1963 Corvette has a mystique all its own, and the Stingray model is extra special. The 1963 was the first Corvette that came as a coupe – prior to this, the cars were always convertibles; it features a unique rear window (which was pretty unusual back then) with a split design, and a futuristic fastback. The sports car look incredibly sleek even today. If you want to add a Corvette to your car collection, be ready to spend between $40,000 and $60,000 for this beautiful 60s model. The Porsche 911 is one of the most famous lines of sports cars in the world, with an incredibly long production run dating back to 1963. 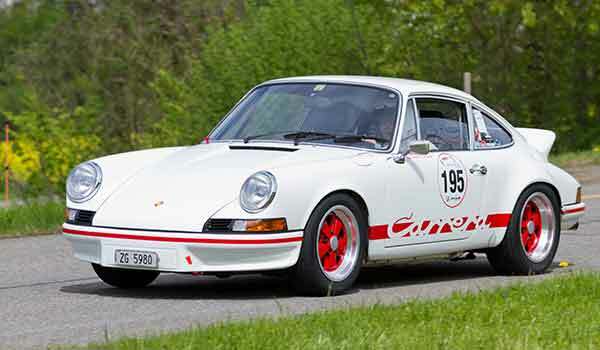 The Carrera RS was only produced in 1973 and 1974, and is the most popular model for collectors. If you want to own such a beauty, be ready to spend about $225,000 on the 1973 model. If you’re looking for another opinion, how about that of automaker Enzo Ferrari? He called the 1965 Jaguar E-Type the most beautiful car that was ever made, and he knows the competition well. 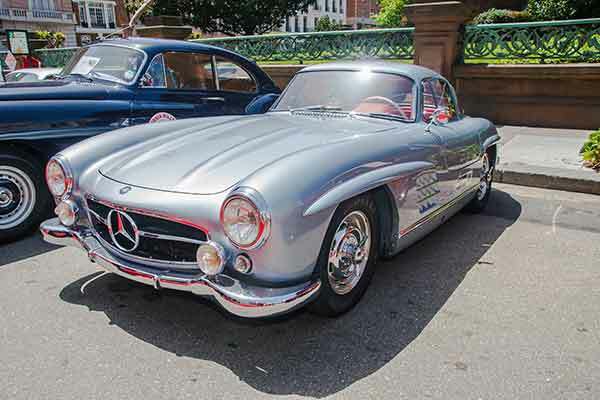 Priced around $87,000, owning such a beauty is a dream come true for every collector of classic cars. Many Ferrari fans consider the 1967 Ferrari 275 GTB/4 to be the best looking cars of the late 60s V-12 Berlinetta models. There were only 330 of this variant ever produced, so it’s rare. Recent prices for this wonder car can easily reach $1.65 million. If you saw the 1975 film Vanishing Point, you’ll know that the real star of this police chase movie was the Challenger. It even raced a Jaguar E-Type in the film. Featuring larger dimensions, a longer wheelbase and an extremely luxurious interior, the Challenger still manages to impress avid drivers around the world. If you want buy one and add to your collection, be ready to pay about $104,000. The Aston Martin was famous as the preferred car of super spy James Bond, and these cars featured prominently in Goldfinger and other Bond movies. The car driven by Sean Connery recently sold for $4.6 million, while a non-Bond vehicle is about $833,000. The 1971 Lamborghini Miura SV was the fastest Lamborghini in its day, and the last of their Miura models. The car tops out at 170 mph, and accelerates 0 to 60 in 5.5 seconds. If you’re lucky to find one, be ready to pay roughly $900,000 for it. 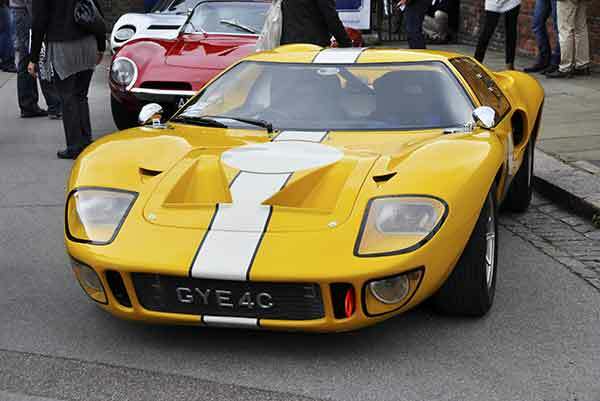 This car’s claim to fame is winning the 24 Hours of Le Mans race four times in a row, during 1966 through 1969. It’s the only American car that was overall winner in this famous endurance race. 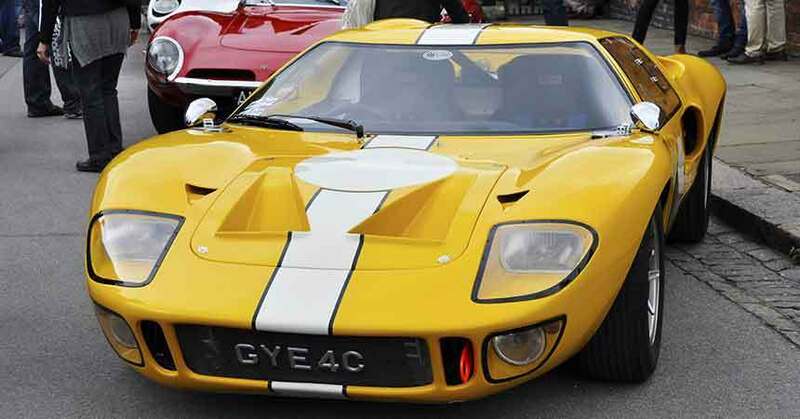 Currently, a 1966 Ford GT40 is priced at $1 to $2 million. This 2-seater sports car is best known for its unusual gull-wing doors and it used to be one of the most unforgettable coupe cars of the 50s. Also, it’s an extremely recognizable Mercedes, which means if you’re an avid collector you must get one. Prices vary widely, but recent sales have gone for anywhere from $850,000 to $4.62 million. Another car with a famous movie role, this was the model that Matthew Broderick trashed in Ferris Bueller’s Day Off. Of course, that was a fake, because nobody in their right mind would destroy one of these originals. It goes for about $11 million. Which of these 10 cars is your favorite? Whether you’re a Porsche fan with a passion for a 911 model or you’d like to test drive a vintage Lamborghini, one thing’s for sure –classics make the whole driving experience feel truly unique.